Who is Jack of Sports? The founder Larry Tobin is a graduate of Cornell University, married and the father of 4 children. Larry has a passion for sport and kids. He participated in many sports as a kid and teenager and ended up playing professional hockey in Sweden; after 4 years of varsity hockey and attaining a Business Degree from Cornell University. Larry's belief is kids should be involved in different sports per season with the parental focus being on PARTICIPATION verses what team the child is playing for. Playing different sports allows the child to develop their hand eye coordination, foot speed, mobility and strength that each unique sport provides. It allows a fresh and exciting attitude to be maintained while the child builds FRIENDSHIPS and learns about the benefits of an ACTIVE and HEALTHY lifestyle that can be maintained for a lifetime. After witnessing and experiencing how expensive and poor many sports programs are delivered; Jack of Sports evolved on the concept of offering high quality, affordable swim and multi sport instruction. Jack of Sports programs are meant to be ALL INCLUSIVE. No matter what the child's economic background, Jack of Sports allows all parents to enroll and the child to participate in the programs. For this financial subsidy, the parents are expected to assist Jack of Sports in "Spreading the Word." The actual Jack of Sports lesson template focuses on skill development, creative drills, tempo and motivation. All children are are expected to behave properly and participate to the best of their abilities. Do you really want your child to be a professional athlete? Whether your answer is yes or no you should understand that a majority of Pro Players are GREAT ATHLETES and not one dimensional. Many of these professionals could have chosen a different sport at the professional level. But needless to say all athletes have the fondest memories of the diverse friendships and bonds they made while being involved in multi sports. 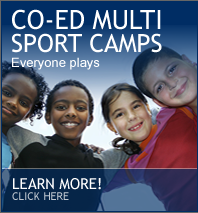 At Jack of Sports the Multi Sport approach encourages a sense of excitement and alleviates boredom and mental fatigue that arrives from focusing on one sport for a prolonged period of time. The benefits of multi sport can be channelled to a sport of choice down the road if the child must make a decision. At Jack of Sports, the children are comprised from a wide variety of economic and ethnic backgrounds. The wonderful part is that everyone is equal on the soccer pitch, basketball court or in the swimming pool. All children are all expected to listen, behave and try their best when participating in the program. The kids are exposed at a young age to different cultures and can develop a meaningful social network that can last a lifetime. There is zero tolerance for rude and inappropriate behavior directed towards an instructor or another child. The child is warned about their behavior and removed from the program if the necessary behavioral changes are not made. As a parent, it drives me crazy with the lack of tempo and creativity in many sports programs. When you enroll your child in an athletic program the expectation should be to witness your child being taught the fundamentals of the sport in a high tempo, stimulating environment. At Jack of Sports the lesson template is broken down into different stations where kids are learning specific skills with creative drills and games to reinforce these skills. No one hides at Jack of Sports. Each child has a certain number of reps and participates to the same extent as the other child who may be more advanced in the activity. The Small Games component creates an environment where all teammates are participating equally and developing both their instinctive and physical skills of the sport. The kids work their buns off without even knowing; its FANTASTIC! At Jack of Sports we make mistakes. It is impossible to please everyone nor do we try to. 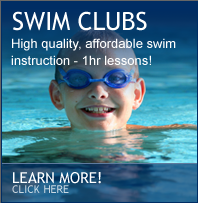 What Jack of Sports will guarantee is that Jack (Larry) and the Instructors will do their best to provide a safe, respectful, challenging and enjoyable environment where both the parent and child believe the experience was fantastic and of great value. When Jack of Sports does mess up we expect to be notified immediately and we will try our best to correct the situation in a professional manner. Jack of Sports will continue to offer complimentary sessions when the situation is justified. Our intention is for kids and parents to leave excited about coming back. There are no financial refunds at Jack of Sports only credits for future sessions. Read our testimonials and see what people are saying about Jack of Sports!